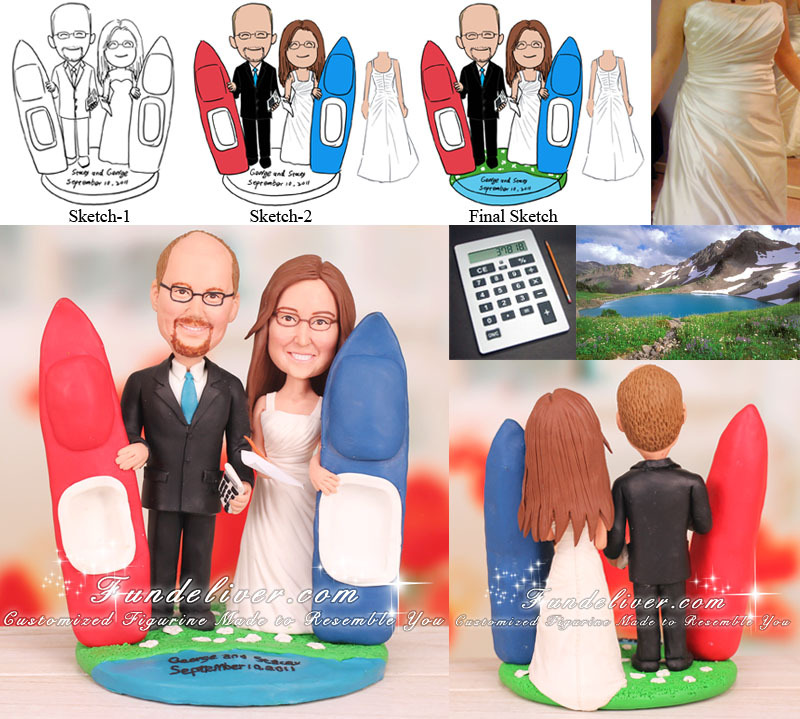 This is a completely customized accountant and executive assistant wedding cake topper ordered by one of our customers. The groom is an accountant and the bride is an executive assistant, so they would like the groom to be holding a calculator and the bride to be holding a pen and paper to accent the touch of their careers. 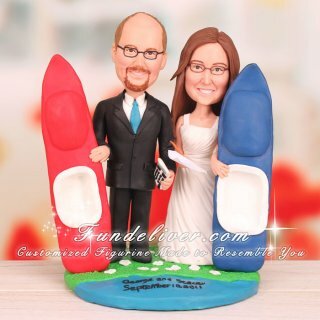 They love kayaking and are planning to go on a groom’s cake with a lake scene. So we designed a lake scene base with half water half lake shore and put two kayaks upright next to the bride and groom to reflect their hobby and cake. Also they would like their names and date on the topper "George and Stacey September 10, 2011".